The Eastside Moto Babes take part in their weekly Tuesday night ride on August 2, 2016 from the Tomato Pie Pizza Joint parking lot in Silverlake. The hour-long ride will take the club past Dodger Stadium and end at Monty Bar in downtown Los Angeles. 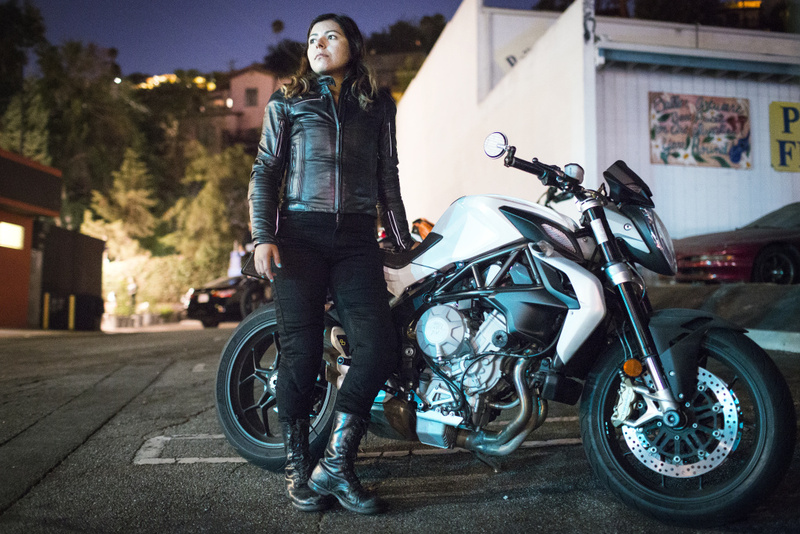 Maria Delgado has been riding for four years —she's also a motorcycle riding instructor. 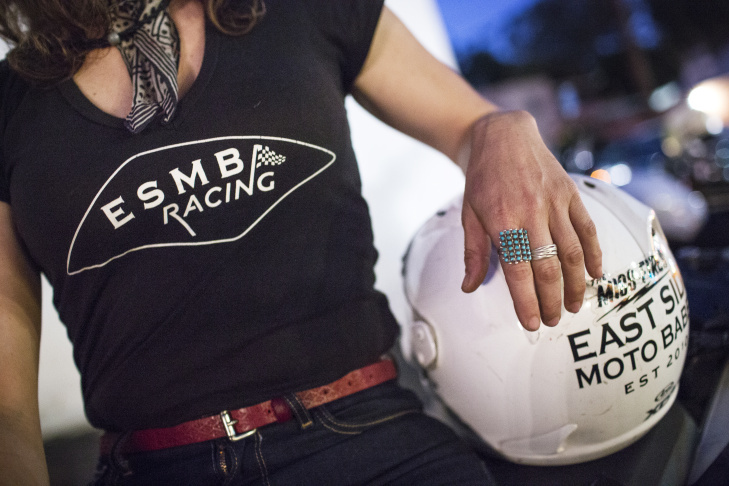 Founded in 2010, the East Side Moto Babes is "a club of female motorcycle riders who ride and race in Los Angeles," according to the group's Facebook page. 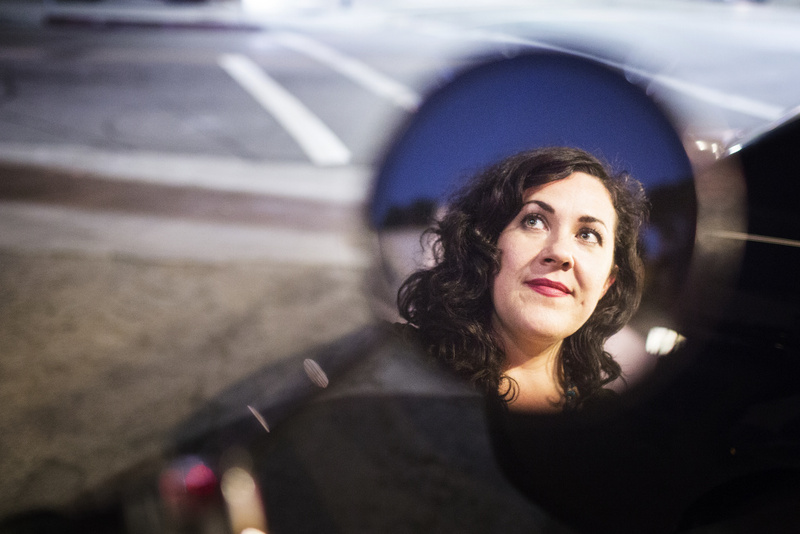 The group — which welcomes men, too — meets every Tuesday night at a different restaurant in Los Angeles' Eastside. From there, they go on a short ride around the city. Talk with the women of East Side Moto Babes and you'll hear about typical biker stuff: gnarly crashes, whiskey-fueled campouts, the latest gear. But you'll also hear about the casual sexism they encounter in motorcycle communities all over, and the value of having a club run for women, by women. We met up with the club before a ride on a recent Tuesday to hear their stories. 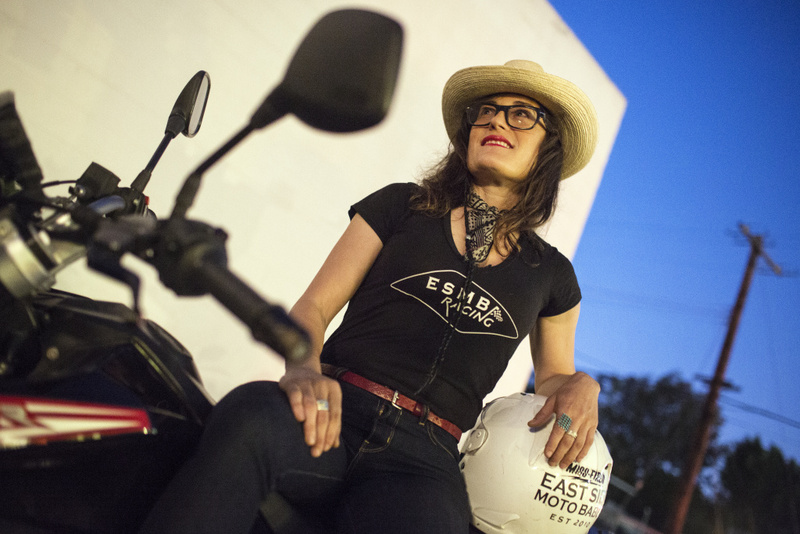 Emily Andlin Hughes is a member of the Eastside Moto Babes. Hughes first got her motorcycle license at age 20. She took a ten-year break from riding when she had a child and recently got back on the bike. The first time I rode a motorcycle on my own, I dropped it and broke it. I wasn't wearing the right shoes – I was wearing flat-bottom shoes, and I slipped trying to kickstart it. The bike fell over and I cracked the oil pan! I didn't ride again for about two years. It wasn't until I was living in Indonesia when I started riding smaller motorcycles and then really got my chops. Is there value in riding a club that's all women based? Absolutely. As a woman, you feel less judged by your peers. And it's a very male-dominated, sometimes misogynistic world, the motorcycle world. Men can be ... I don't know, maybe we're just projecting it, but men sometimes can be a little judgmental when you're on a motorcycle. Or they want to "Honey, baby" you. "Honey honey, baby baby, let me show you how that works." And that can make you feel small — like you can't do it. I stopped riding after I had a kid. And then when I was going through a divorce, I happened across a new motorcycle, my child was then about five or six. I bought the motorcycle and I started riding it, and it was this incredible, therapeutic tool that helped me feel like I was in control of my life again. Suddenly I was on this 600-pound machine and throwing it around corners and feeling very empowered. So that was a really great journey. 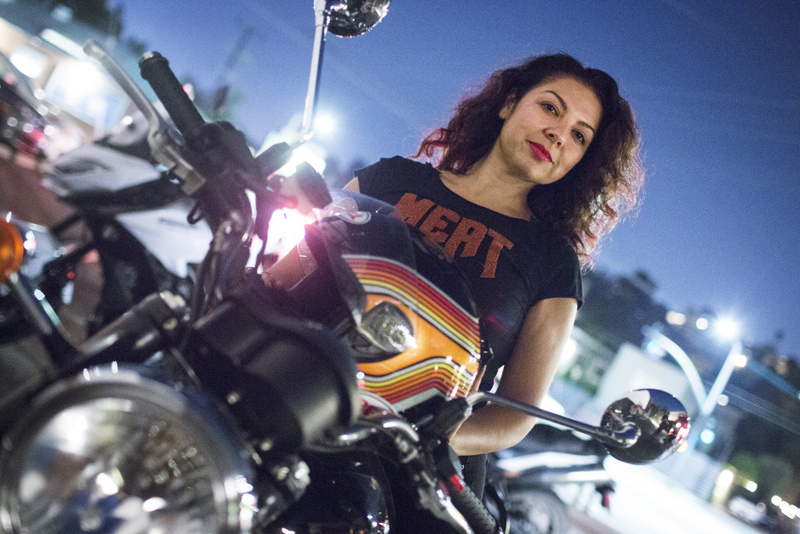 Elisa Perez is a member of the Eastside Moto Babes, a club of female motorcycle riders. Perez prepares to ride a 2015 Triumph Bonneville during the group's weekly Tuesday night ride on August 2, 2016 from the Tomato Pie Pizza Joint parking lot in Silver Lake. I heard about it through my friend, David Laredo. 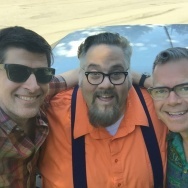 I ran into him at bar and I had just purchased my Triumph — I have a 2015 Bonneville. It's black and mean! Her name is Luna Negra, which means "black moon." Mag tires, leather seat. I still kept my lollipop mirrors, because they're cute. I've always loved motorcycles, ever since I was a little girl, always attracted to then. But it was scary to me. 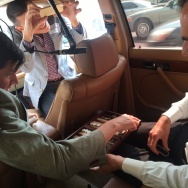 And them my brother's friend gave me a ride — I was hooked. But I also hurt myself, because I did exactly what he told me not to do: Which is when you get off of the motorcycle, don't put your leg on the exhaust! I still have the scar. I got a little burnt. I feel a little bit safer on the road with ladies. I've ridden with men, and guys have a little more adrenaline, testosterone. For me, it was a little intimidating. It's just fun, and we all get off of our motorcycles, take off our helmets and it's like "Girl, How's my hair? Girl, how's my lipstick?" You can't really do that with a guy. 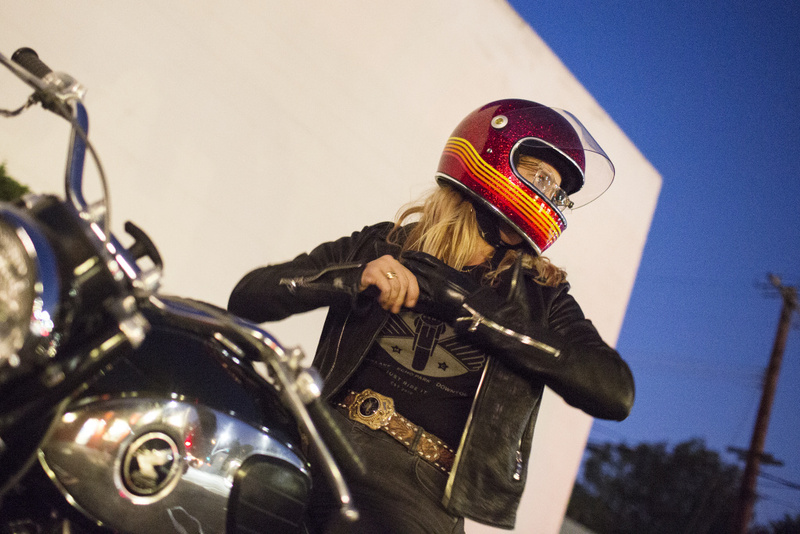 Stacie B. London is the president and founder of the Eastside Moto Babes. London prepares to ride a 2014 Husqvarna Strada 650 during the group's weekly Tuesday night ride on August 2, 2016 from the Tomato Pie Pizza Joint parking lot in Silverlake. I bought my first bike and started riding in 2009. I was riding with a lot of male groups, because there wasn't a female group. And so I was looking around and saw how great it was — these male clubs had so much camaraderie! They helped each other and did events together. I designed a logo and started a Facebook page and tagged all the women I knew who rode motorcycles. I scheduled our first meeting — four people showed up! That first ride was really fun. It was really exciting, we met at a pizza place in Boyle Heights, and it was super giddy and exciting. Just that there were other women that were interested in not just riding, but had a similar vision that I had. 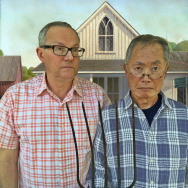 I mean, it was one of the goals — and I think we achieved it — is the idea of community. And not just community for women, even thought that's our main focus, but it's also a coed community. That men and women ride together, that women have something to teach men just like men have something to teach women. 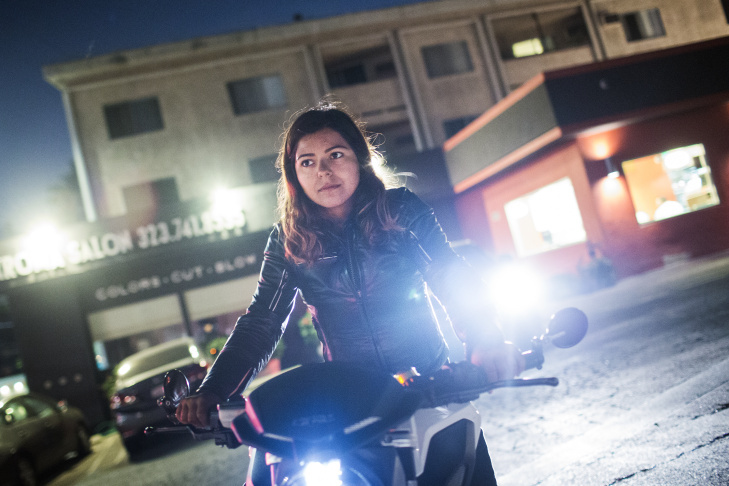 Maria Delgado gets ready to ride with the Eastside Moto Babes on a 2013 Brutale 675 during the group's weekly Tuesday night ride on August 2, 2016 from the Tomato Pie Pizza Joint parking lot in Silverlake. I've been riding with the East Side Moto Babes as soon as I got my first motorcycle, which was four years ago. A lot of people are freaked out about motorcycles. I was scared of them, too. But one time my brother bought home a vintage Honda. When I saw it, I thought "Hey, that seems like a fun challenge, to see if I can learn how to ride a motorcycle!" I'd have to say my favorite story of riding was when I got my most recent motorcycle, which is an MV Agusta — it's an Italian sport bike without all the fancy plastics. Two weeks after I bought it, I took it on a road trip from LA to Monterey to watch the MotoGP Races at Laguna Seca. I took a bunch of backroads and road up PCH. It was something I did on my own, but having that support from other women back here in LA — from the East Side Moto Babes — was really encouraging. Because I was frightened to go on my own. All I had was my maps, I had memorized the routes and the gas stops, hoping that I wouldn't break down. But I did it, and it was amazing. Anna Logan is a member of the Eastside Moto Babes. She bought her vintage 1976 Honda CB550 motorcycle from someone on Craigslist who collects bikes. The first time I got a motorcycle was my Dad's hand-me-down. It was a Honda Rebel 250 and I actually taught myself how to ride. I took it up and down my street. Eventually I got brave enough to take it to the Rose Bowl. I would practice in the parking lot. And finally I got savvy enough to ride around Highland Park. I told myself, "I'll never get on the freeway, because that's crazy." And one day I just hopped on the most dangerous freeway in Los Angeles! I think it was [the 110 at] Avenue 52, go gotta go from 0 to 60 real quick before you get smashed. I was nervous as hell, but I hung in there. I just got around so much easier! It's easier to park, better gas mileage, the convenience of getting around traffic. I started out with scooters in high school and just loved the ease of getting around town. I love just getting together with the girls, going camping, going on adventures together, our dinners, our monthly meetings where we talk about events that we're gonna have. For instance, we did a charity event for the Downtown Women's Shelter. Song of the week: Nicholas Krgovich - "Sunset Tower"